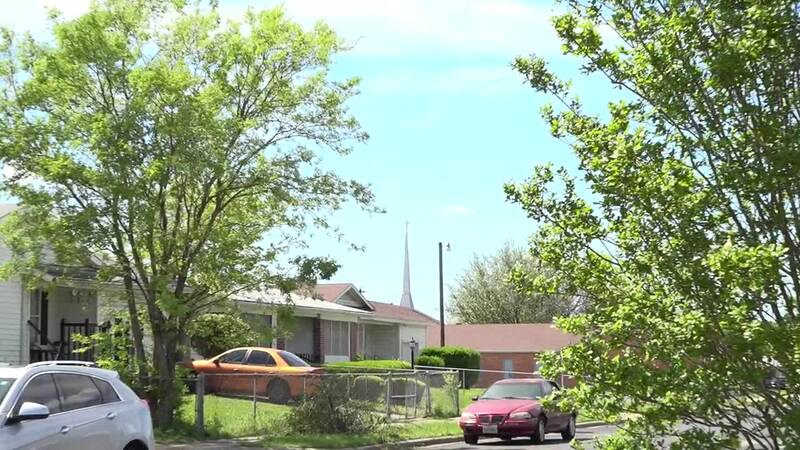 KILLEEN, TX — New details have been released about a Killeen shooting that left a 15-year-old boy with a gunshot to the head on Sunday. According to the affidavit, on April 7 at approximately 11:40 p.m. officers were dispatched to 3216 Longview Dr. It was in reference to an aggravated assault with serious bodily injury using a deadly weapon. Officers learned that a 15-year-old boy had been shot in the head while sitting in the living room of the home watching TV. The victim was treated for life-threatening injuries and remains in critical condition. Before the shooting, officers were dispatched to the area because there had been an altercation between two women. The affidavit said that as a car was driving away, it was hit with a rock - shattering the back window. Daran Cedric Hill, Dante Hervey and Preston Harrington then met at a convenience store. A witness said he heard Hill and Dante Hervey say they were going back to the area and "shoot up the house." Harrington, Hill and Dante Hervey went to the home and fired a shotgun at the home while adults and children were watching TV. Witnesses described the vehicle that was at the scene earlier as being the same that drove away after the shooting. Officers said many individuals had been previously identified. Police found surveillance footage from the neighboring home that showed Dante Hervey going from the home to the vehicle with a blue bag, then went back to the home. After that, a woman takes the blue bag to the neighbor's house. The neighbor gave a statement and the items left at his home were a shotgun and inside the bag were two revolvers and some clothing that was worn by Harrington in the footage. One revolver had been emptied, and the other had five empty casings. During the investigation, Harrington confessed that he had returned to the area with Hill and Dante Hervey. He had the shotgun and fired it at the home. A shotgun shell casing was located in the street by the house's driveway. Harrington was on bond for a separate burglary of a habitation charge at the time of the shooting. Police discovered Hill was previously convicted of assault and misdemeanor possession of a controlled substance. He was also convicted of evading a state jail felony in 2004 in Travis County. In addiction to those convictions, he was placed on deferred adjudication for aggravated assault with a deadly weapon in 2012 in Williamson County. He was arrested in North Carolina Thursday. On April 8, officers executed a search warrant for the Hervey's Killeen home. While executing the warrant, they found plastic bags containing meth in Donna Hervey's bedroom. It was also found with money and a digital scale. After the discovery, Donna Hervey confessed that the items in the bedroom and clothing were hers. She also said she was unaware of the meth and money found in her bedroom. On Wednesday, Dante Hervey, Donna Hervey and Harrington were arrested and transported to the Bell County Jail. Dante Hervey was charged with discharging firearm in certain municipalities and aggravated assault causing serious bodily injury. His bond is set at $505,000. Donna Hervey was charged with possession of a controlled substance with intent to deliver. Her bond is set at $50,000. Harrington was charged with possession of marijuana and aggravated assault with a deadly weapon. His bond is set at $103,000.